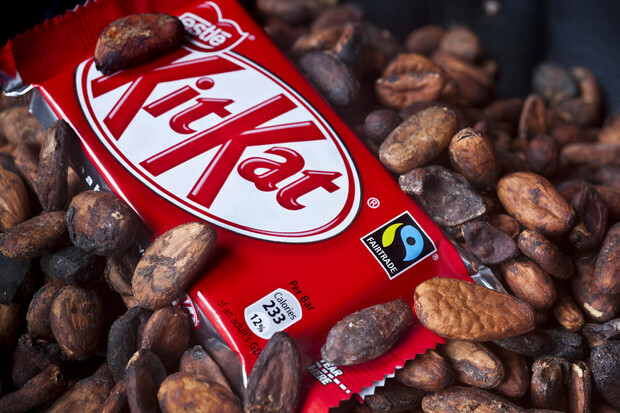 Perhaps the cocoa in your Kit Kat was harvested by children 'having a break' ...from school. Food giant Nestle is back in the news this week, and for the wrong reasons. The government of Ivory Coast believes that 89% of children in that country are involved in Cocoa farming, making child labour a huge issue. Nestle buys around 10% of all the worlds cocoa, so that we can enjoy KitKats and the array of other confectionery they tempt us with. It’s an irony that most people, children or adults, involved in farming cocoa have never tasted chocolate. It’s not processed into something edible where they live, and even if it was they couldn’t afford to buy it. The US based Fair Labor Association have worked on a report alongside Nestle which finds there is still much work to be done, if Nestle is serious about delivering on it’s social responsibility claims. It’s worth noting that Fairtrade is of course not the same as Fair Labour. Fairtrade does require producer companies to treat staff fairly, for example by paying minimum wages as set by the global watchdog the ILO. The Fair Labour Association though is more closely focused on workers rights in factories and and farms. The two organisations together wield a lot of power, that can be wrought to improve the lot of millions of people around the world. Under the UN convention on the Rights of the Child anyone under eighteen should not be in full time work. Under international law therefore it is illegal for children to work. In practicality of course enforcing that is very difficult, especially if there are no schools for children to attend where they live. Below are a couple of articles about the Nestle issue which throw more light on the issue and the actions underway to improve the situation. The FLA article and report can be found here. A recent BBC report on this story can be found here.